If you aren’t sure whether it would be better to rent or buy a tux for your big day, allow us to help you decide. 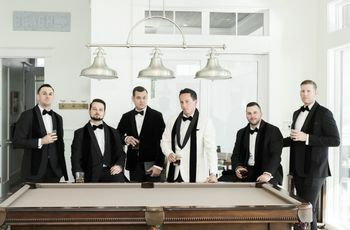 If you know you want to wear a tux (and not a suit) on your big day but aren’t sure whether it would be better to rent or buy one, allow us to help you decide. Here are the pros and cons of renting or buying a wedding tuxedo. You can afford a higher-end tux. If this is the only time you’ll ever wear a tuxedo, go all out! 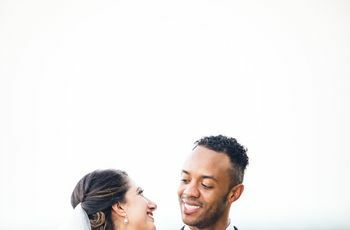 While a Hugo Boss tux might be totally out of reach to buy, you can rent one for about one-third to one-fifth of the price—and look super sharp on your wedding day. There are so many options, you’ll find something that suits your tastes and budget. 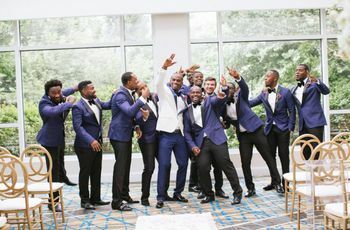 Your budget will be less of a constraint if you decide to rent (since most rental tuxes are under $200) so you’ll have more styles to choose from than if you were buying a tuxedo of your own. It’s easier to match your groomsmen. 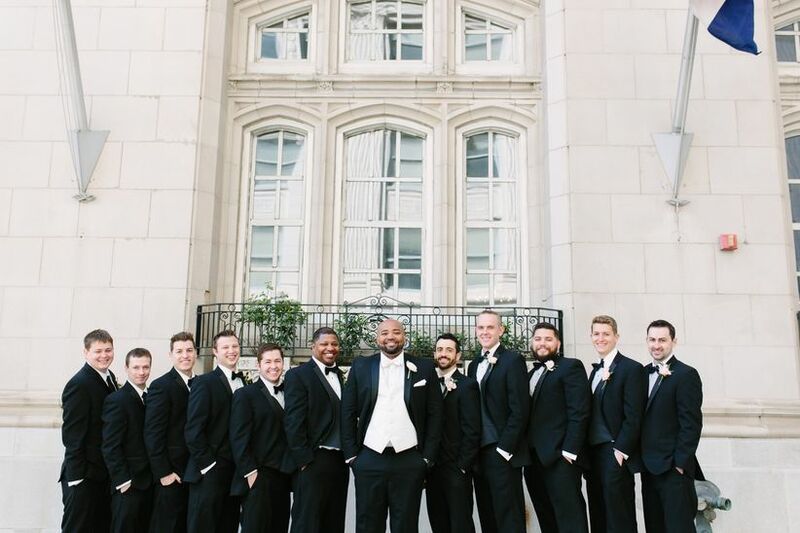 If you all rent from the same brick-and-mortar or online store, you’ll be able to match not only your tuxedos but also your accessories perfectly. Someone else has worn it before. This is probably the biggest complaint men have about rental tuxes: You never know who has worn them (or whether they wore undergarments with them). But! A good-quality rental shop will clean its tuxedos well, so don’t let this scare you too much. You can’t tailor it the same way you could if it were your own. 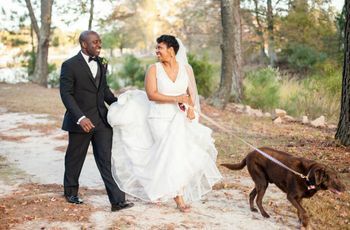 If you’re a “standard” size, you should be able to find a tux that fits you just fine—a tailor can put temporary stitches (or take out stitches) in the pants and sleeves to get them to the right length. However, if you’re extra tall or on the bigger or smaller side, you might find that rental tuxes don’t fit you quite right. 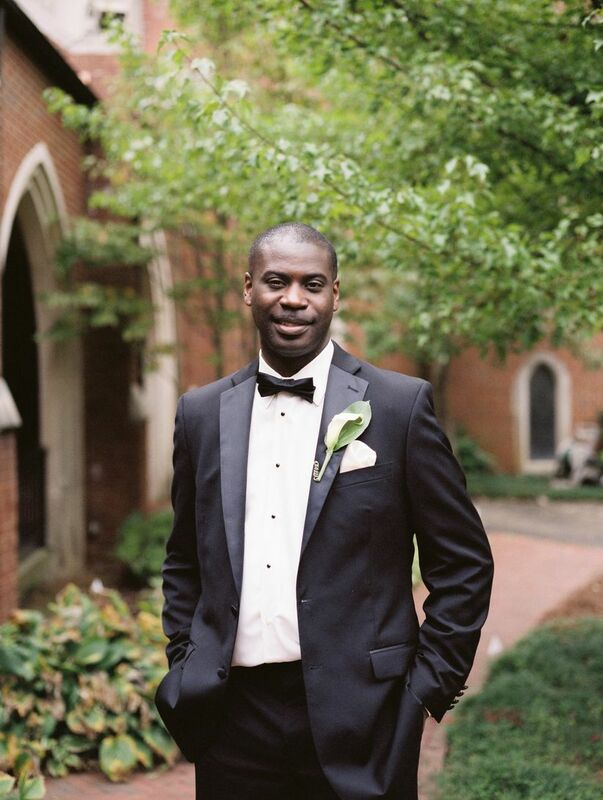 Even if you don’t see yourself wearing a tuxedo ever again, it could happen—formal events pop up all the time; you might even have to wear a tux to a friend’s wedding! Plus, if you’re really into fashion, having a one-time-use tux might not feel special enough for your wedding day. You can tailor it to fit perfectly. While you can adjust the arm and leg length on a rental tux, the jacket and vest may end up looking boxy or too tight in certain areas. If you buy your own, a tailor can measure, cut and sew your tuxedo to fit you just right. If you go to formal events once or twice a year, it will pay for itself. If you’re creeped out by wearing the same pants as another man (even though they’ve been thoroughly cleaned!) purchasing a tux is the only way to go. You’ll know without a doubt that only your body has danced and sweat in that outfit. You get to pick out unique accessories that you’ll wear again and again. If you’re into fashion, it will be fun not only to pick out your tux but also your accessories. And you can definitely wear your shirt, shoes, tie and even your cuff links with other, non-tuxedo outfits. There are no two ways about it: tuxedos can be expensive. They cost more than suits and you’ll pay triple or more to buy a tux than you would to rent one. However, sales do pop up so it’s worth waiting for one to get a better deal. You might not ever need to wear a tux again. If you only wear it once, the cost will be high—not unlike the cost of a wedding gown that only gets worn once! 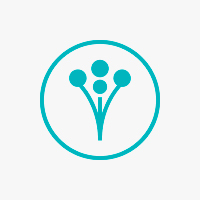 Talk to your spouse-to-be about your budget and see what’s reasonable for your bank accounts. If your body changes, it will no longer fit you correctly. If you gain or lose weight after having your tux tailored, it might not look as great as it once did—and you’ll be right back where you started. You’ll have to buy all of your accessories, too. While the fashion-conscious groom might look forward to accessory shopping, other gents may have no desire to pick out ties and shoes. Plus, the added expense could send your already costly tuxedo purchase through the roof.